I am always looking for ways to keep my students engaged the week before Halloween while still working on our standards. 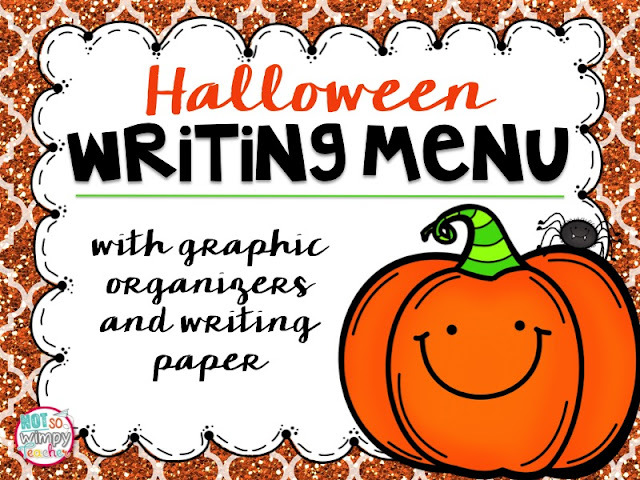 I created this writing menu and some graphic organizers to give my kids a fun Halloween themed writing activity that reenforces our writing lessons. The menu includes 3 narrative prompts, 3 informational prompts and 3 persuasive/opinion prompts. I put a writing process checklist on the bottom of the menu to help students to work through each step. I included a graphic organizer for each each type of writing to help students plan. The freebie also includes several cute Halloween themed writing papers for their final drafts. Would you like some more classroom tips and Halloween freebies? 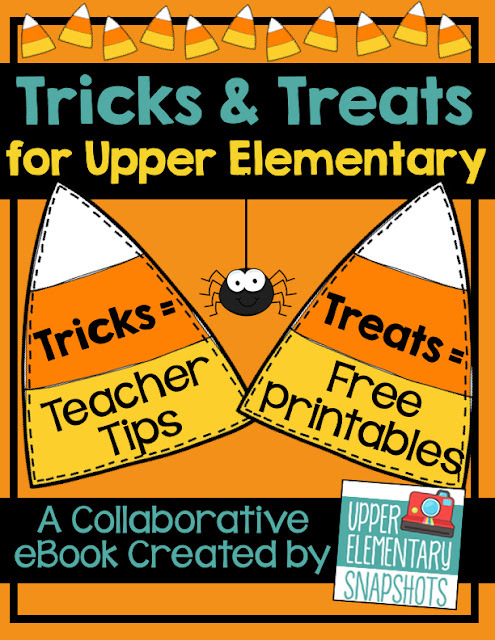 The talented bloggers from Upper Elementary Snapshots put together this FREE Halloween eBook! You will find all kinds of helpful information and links to ten FREE products, including my writing menu. Click on the picture below to download.